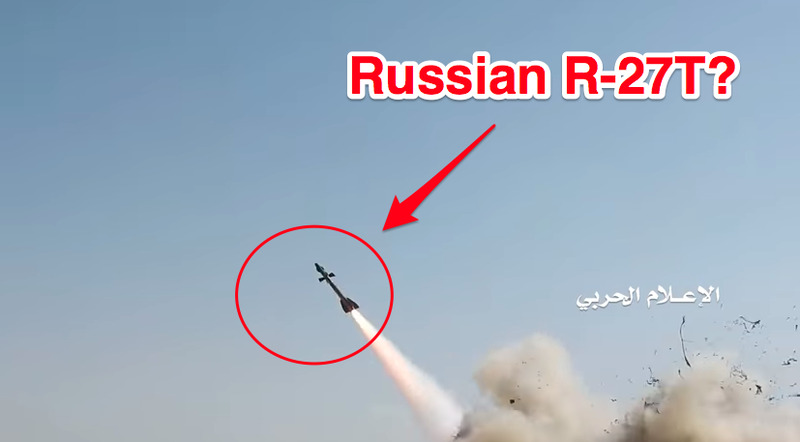 YoutubeThis video appears to show a Russian-made R-27T missile firing at a Saudi jet. New video appears to show the true extent of the fighting. Saudi Arabia said the missile used was not originally of Yemeni origin and shows that Iran has been arming the country – and that its jet survived. An expert told Business Insider that it’s unlikely a fighter jet could survive such a massive fireball. Saudi Arabia announced on Wednesday that one of its fighter aircraft was “intercepted” by a “hostile air-defence missile,” and now video has emerged showing the true extent of the fighting. Saudi Arabia said the missile used was not originally of Yemeni origin and shows that Iran has been arming the country. 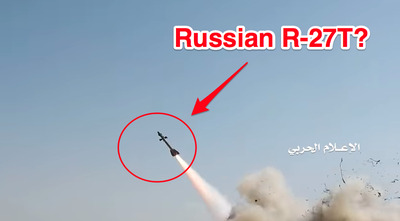 Experts who analysed the film, released by Houthi rebels, said it showed an R-27T – a Soviet-era missile usually found “hanging under the wing of a Russian-built aircraft,” Justin Bronk, an air-combat expert at the Royal United Services Institute, told Business Insider. The missile, with a heat-seeking sensor and a solid range of about 70 kilometers when fired from the air, is seen in the video bursting upward and eventually erupting in a fireball. The Saudis maintained that the missile did not down the jet, which it claimed returned to base. The Houthis claimed they downed the jet. No matter the outcome, the fact that Houthi rebels in Yemen have demonstrated their ability to rig a Russian fighter jet missile to fire at Saudi jets from the ground shows they have advanced and increased their warfighting abilities.